My amp is the tried and true: Alembic F1-X preamp and a QSC GX7. Alembic is my absolute favorite. Every bass I’ve ever played through it sounds good. That’s what I recorded Mark Lettieri’s record and New Birth, that was my DI. I use a Schroeder 2×12, because I gig a lot and it’s light and it’s super loud. 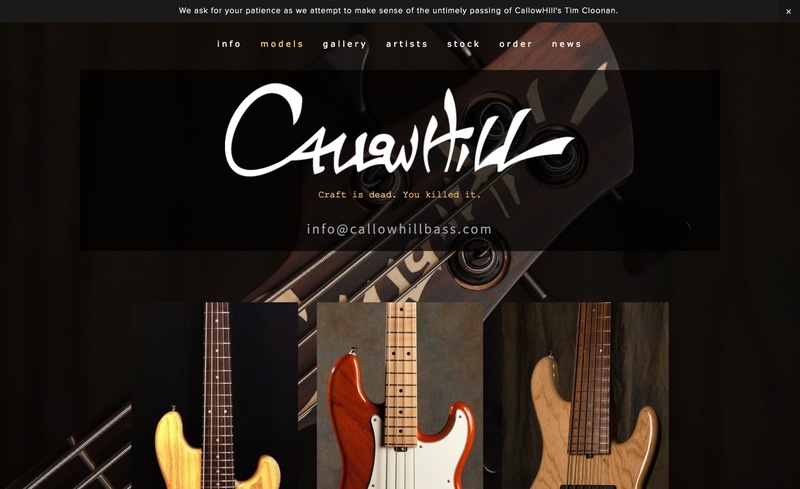 I’ve been in love with CallowHill basses. Tim Cloonan is a Philly dude and a lot of the Philly gospel and R&B guys play them. He just made my first custom bass – it’s an OBS, Owen Biddle plays them. I’m shorter than most of the short people you know and I have big, small hands! My hands are wide, but my fingers are short, so the OBS is awesome because it is comfortable to play really low for me. He makes incredible basses. I have two of them.